Facilities at The Torcroft Boutique B&B Kindly note that we do not allow pets to stay in our B&B. 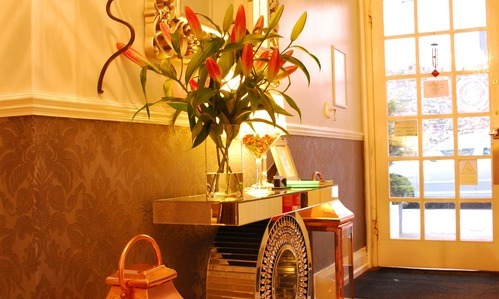 “Great rooms, superbly comfortable bed, massive shower and rugby on the TV was a great start to a short weekend stay. The Sunday breakfast was worth getting up early for” - Guest stayed in September 2015. We have 12 parking spaces, so you’ll always be able to take advantage of our free parking and walk into town. If we are able to, we’ll let you leave your car parked with us a little longer on the day of check-out. Our guests always say how good our WiFi is. You can pick it up well in all our rooms and in the public areas, and of course, it's free of charge. Relax and enjoy a drink in our well-stocked Travel Bar and Lounge, a place with a warm atmosphere and chillout music, decorated with ornaments and pictures from around the world. You can also play board games, or chat over a glass of your favourite tipple. 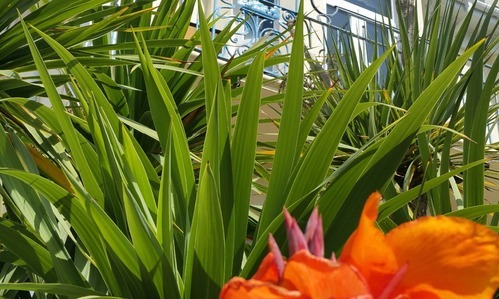 The Torcroft is south-facing and has a large garden full of some beautiful flowers and shrubs, including the famous Torquay palm trees. Our terrace has two round tables and garden lounge furniture and is very popular place to sit in the sun, or the shade of the palms, and enjoy a cool drink on a sunny day. Every room offers refreshment facilities that include both normal and decaffeinated coffee and tea, hot chocolate, along with delicious biscuits and a bottle of "perfectly drinkable Devon tap water". Almost all bathrooms are newly renovated with plenty of hot water, extremely clean and you’ll enjoy some lovely toiletries. A hairdryer is also at your disposal in every room. 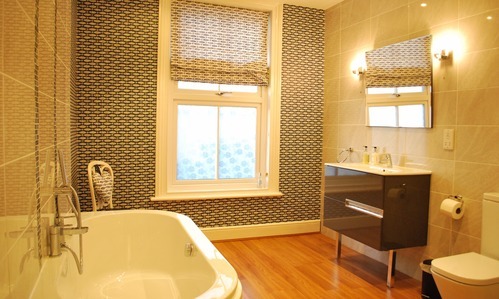 Most rooms have a heated towel rail. As we try to minimize our impact on the environment, we ask you to use your towels for the duration of your stay. We replace them after 4 days if you are staying for a week or more with us. You can watch your favourite programmes on wall-mounted flat screen TVs. Our balcony suites even have two TVs! We offer free to view stations. Please note that all our rooms are non-smoking including the balconies.